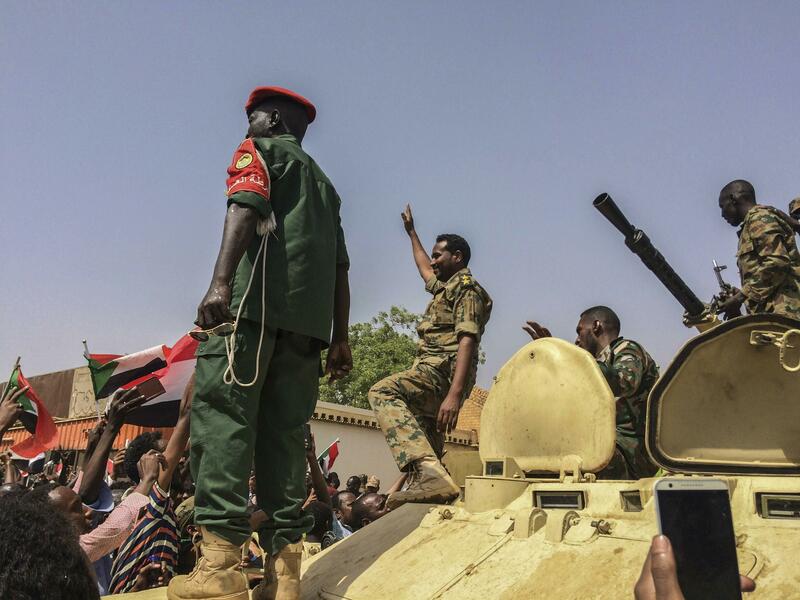 KHARTOUM, Sudan – Sudan’s defense minister said Thursday that President Omar al-Bashir had been taken into military custody, effectively announcing a military coup to end his 30-year rule. A two-year transition government administered by the military would take over, the constitution would be suspended, and a three-month state of emergency would be put in place, he added. The announcement by Awad Ibn Auf, who is also Sudan’s vice president, came after four months of nationwide street protests sparked by price hikes on basic goods but also reflecting a deep-rooted desire for the replacement of his decades-old regime. Bashir is accused of committing crimes against humanity and genocide in Sudan’s Darfur region and has been indicted by the International Criminal Court. The details of the apparent coup were unclear as was the future of a massive sit-in protest in the capital Khartoum, but Ibn Auf’s announcement included a curfew from 10 p.m. to 4 a.m., which amounts to an order the sit-in disband. The protesters’ demands included the creation of a civilian government and justice for protesters who had been killed. But many said Thursday that their hope was transformed into disappointment and anger by Ibn Auf’s speech. Ibn Auf, who will head the military transition government, was a key military leader during Bashir’s suppression of rebels in Darfur and is unlikely to give Bashir up for prosecution. “They just replaced one thief with another,” said Ahmad Ibrahim, a young protester sitting on the ground under the sweltering heat near the sit-in outside of the army headquarters. “We are going to keep pushing until all of our demands are met.” His friends nodded in agreement. “Did we go through all this trouble for this? It’s the same story,” said another protester, Khalid Osman. But after the sit-in began on April 6 in front of the Defense Ministry, divisions within the armed forces became increasingly visible as low-ranking officers began to join the protests. High-ranking officers followed by declaring their intention not to disperse the protesters. Home to 43 million people, Sudan is Africa’s third-largest country by area and occupies a strategic location along the Nile River between its sources south of the Sahara Desert and its passage through Egypt. Bashir used his geographical leverage to become a regional power-broker, presiding over peace agreements in neighboring South Sudan and Central African Republic, as well as water disputes between Ethiopia and Egypt. Over the past few days, Bashir became increasingly isolated, as coalition partners of his ruling National Congress Party declined to join counter-protests in his support. Through the waning years of his rule, Bashir diverted large quantities of the national budget to military spending, while inflation drove prices of flour and other basics up. The average Sudanese citizen is only 19 years-old, and has lived their life entirely under Bashir. Bashir was indicted in 2009 by the International Criminal Court for five counts of crimes against humanity, two counts of war crimes and three counts of genocide for directing the fighting in the western Sudanese region of Darfur more than a decade ago. He will likely remain in Sudan under house arrest or seek refuge in one of the countries, such as Saudi Arabia or Egypt, that has allowed him to enter in the past without extraditing him, according to analysts. Sudan has experienced numerous coups in the past, including the one in 1989 that brought Bashir to power. The military’s use of state television and radio to announce their takeover was a throwback for many older Sudanese to past transitions. Published: April 11, 2019, 9:15 a.m. Updated: April 11, 2019, 11:26 a.m.